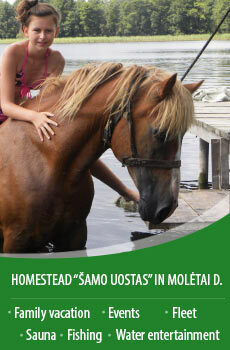 Countryside tourism homestead "Virginia" was founded in 1990 on the shore of the river Veivirža. 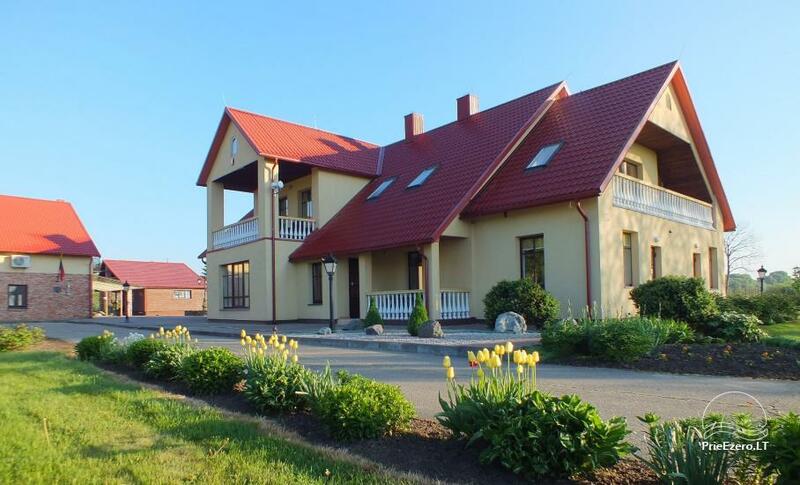 It is located 25 km from Klaipeda and just as far from Shilute, in a beautiful Vilkyčiai village. 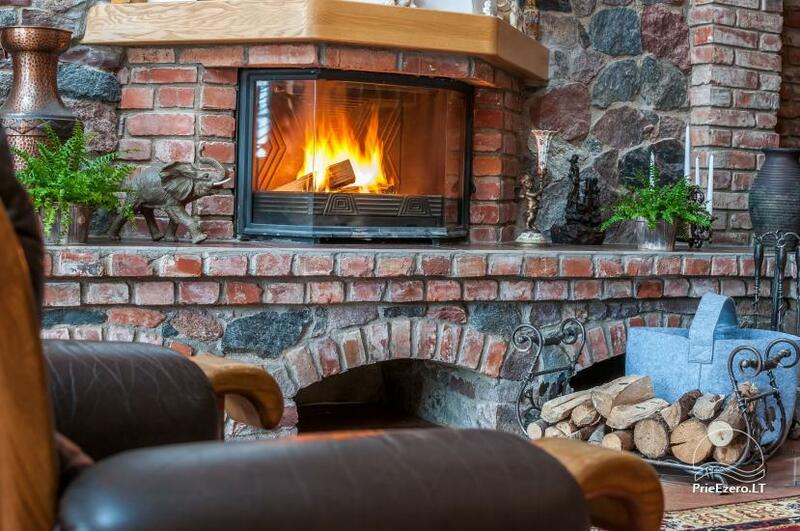 It's a place for those who are eager to relax in the wild, without sacrificing high-quality amenities and comfort. Here you can celebrate the wedding, birthdays, classmates, groupwriters or coworkers meetings, business parties, official seminars, conferences or just a pleasure and a great time. 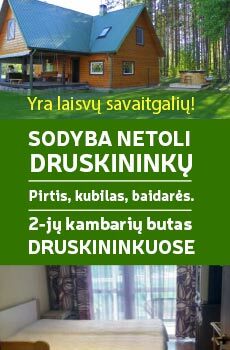 We offer you various services - from a short stay to a luxurious party or a cozy, comfortable holliday in countryside homestead. 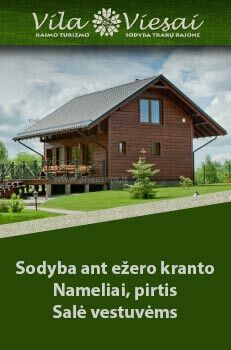 The Lithuanian Countryside Tourism Association has given a high quality assessment of "four stork" for our homestead "Virginia". The banquet hall is suitable for up to 65 people. The hall is suitable for both - corporate parties and family meetings or celebrations. 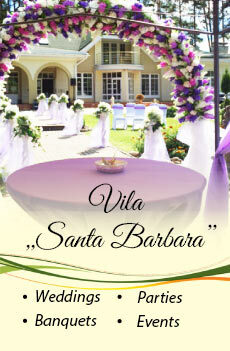 Free Wi-Fi internet access is available throughout the property. The password will be provided by the guesthouse staff. 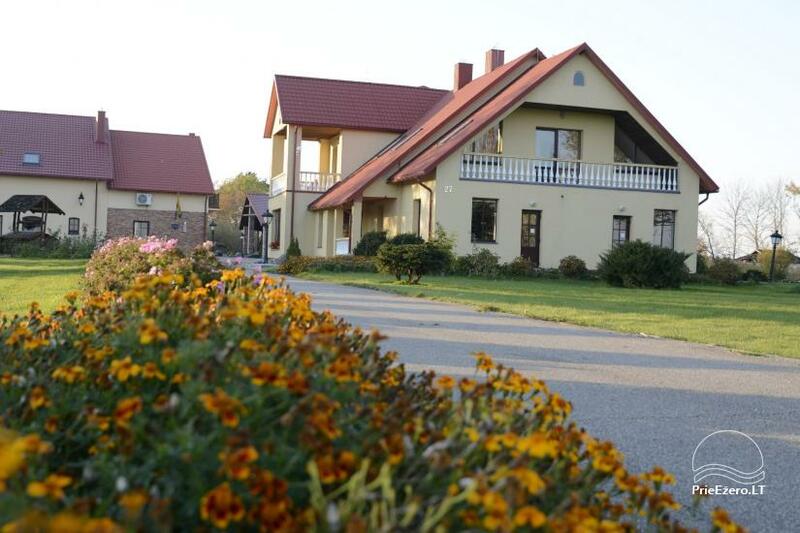 In a spacious parking lot you will surely find place for all cars of guests. For your safe stay, all area and the parking lot are constantly monitored by video cameras. There is a small terrace on the river shore (next to the banquet hall), where guests can enjoy the evening and enjoying the sunset. 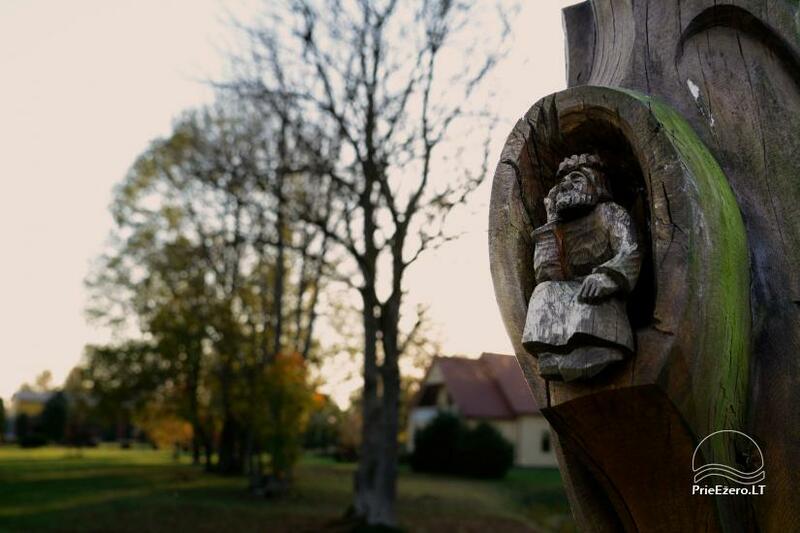 "Virginia" is also a fun place for the little ones! Here they will find a playground with swings and quicksteps. There are 16 rooms with 67 sleeping places: 10 double rooms, 1 triple, 2 quadruple, 1 room for six persons, 3 rooms for eight people and a separate house for six persons. The beds can be arranged according to your individual needs - double or single. All conveniences in each room: a TV set, shower and WC. Upon Your request, double rooms may contain a large double bed or separate twin beds. 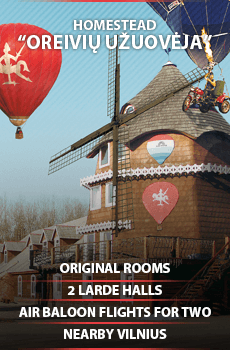 Rooms are also available for short-term visits (reservationis required). Sports field. For active leisure, our guests may use basketball and volleyball courts. 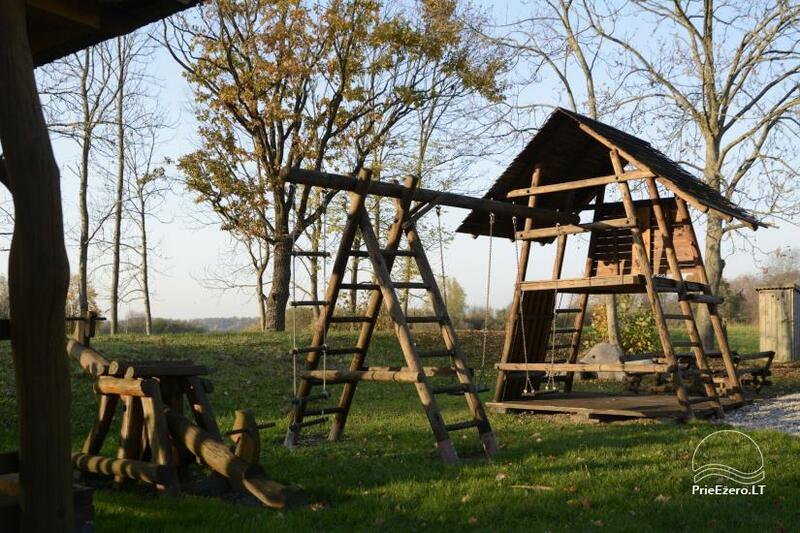 The area of the homestead is large, so you can organize various activities and games. 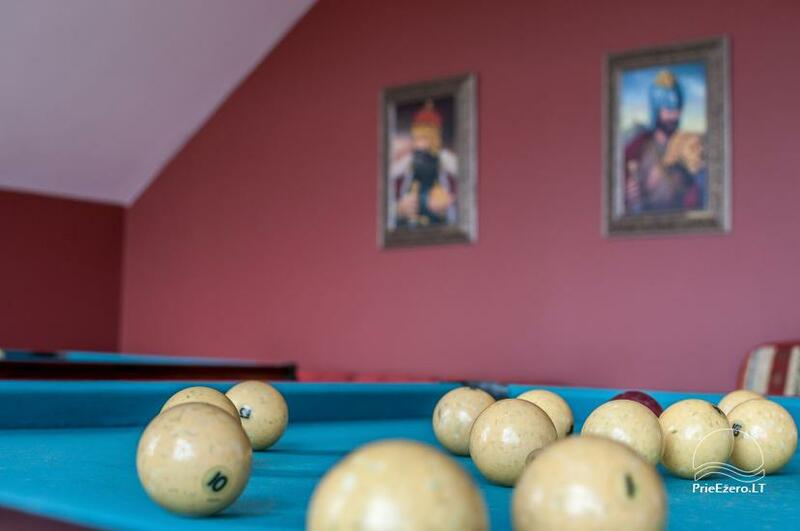 Billiards. 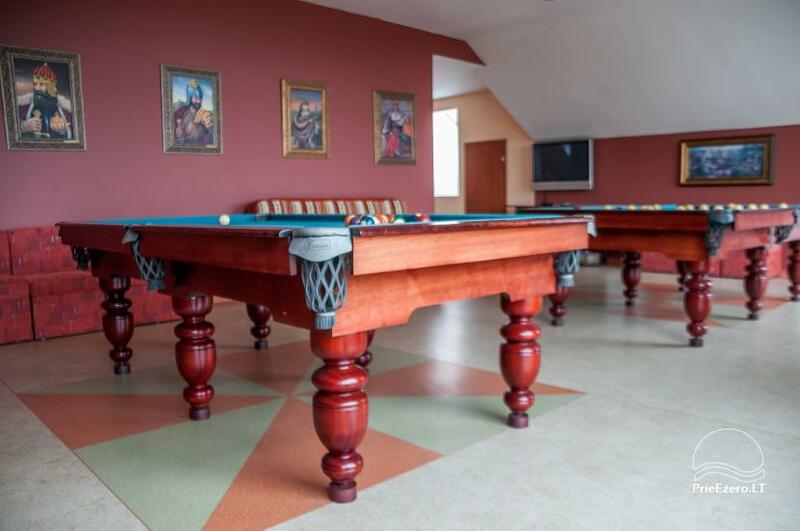 There are billiard and Russian billiard tables for a calm leisure. Grill Gazebo. 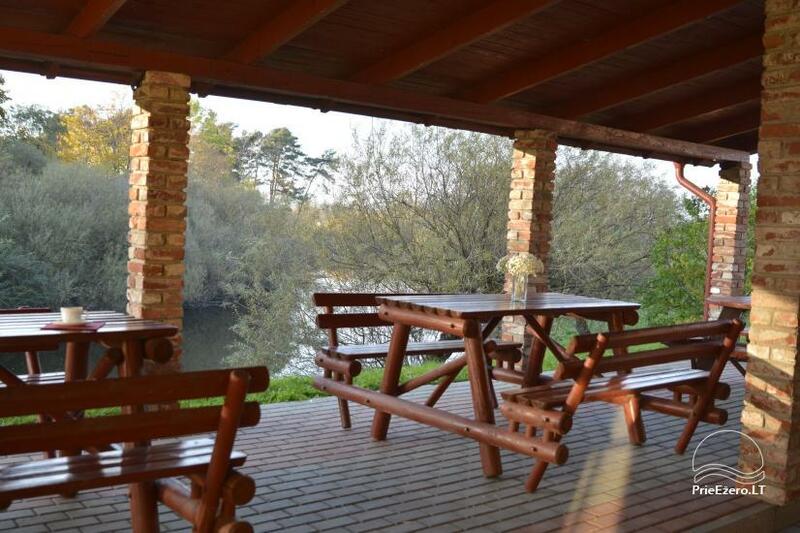 Near the river there is a large gazebo suitable for up to 25 people. 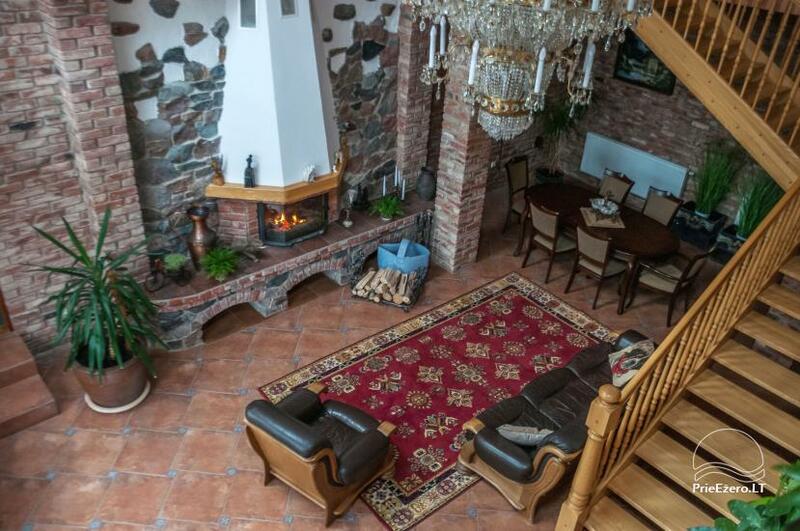 There is also an outdoor fireplace, where you may bake barbecue.